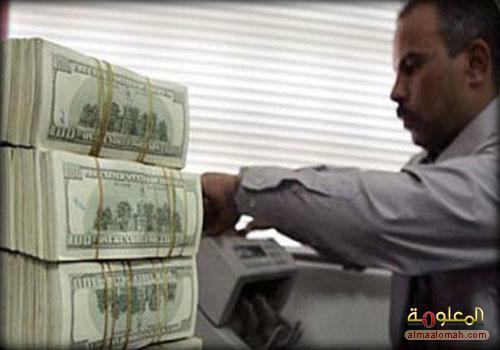 Decided the Central Bank of Iraq, Monday, depriving the 14 banks from entering the window of sale and purchase of foreign currency, as he emphasized that depriving these banks will continue until the payment of the amounts discharged. The bank said in a statement received by Alsumaria News, a copy of which he "decided to deprive the 14 banks access to window sale and purchase of foreign currency and stop the strengthening of their assets abroad, "attributing the reason for this is" not they pay all amounts discharged deductions for tax and customs secretariats and transferred to the General Authority for taxes and General Administration of Customs. " The bank "and added banks which included deprivation is the Iraqi investment, the country's Muslim, by Lebanese French, Byblos , international development, the Arabian Gulf, the Middle East, Beirut and the Arab country, Ceyhan, France Bank, Union of Iraq, the Iraqi trade, Sumer Commercial, Huda. " The bank pointed out that "deprivation will continue until the payment of the amounts discharged and provide us with what supports it." and founded the Iraqi Central Bank independent bank under the law issued on the sixth of March 2004, as an independent body, is responsible for maintaining price stability and the implementation of monetary policy, including the exchange rate policies being sessions daily for buying and selling currencies. It is noted that although private banks spread in Iraq , which amounted to more than 30 banks, but the banks did not play a pivotal role in the economic development process in Iraq because of the smallness of these banks in addition to the departure institutions -governmental organizations to deal with them because of foot-dragging some private banks in their work. The central bank decided, Monday, depriving the 14 banks from entering the window to sale and purchase of foreign currency, stressing that depriving these banks will continue until the payment of the amounts discharged. The central bank said in a statement received by the agency / information /, that "the administration has decided, today, deprived 14 banks from entering the window of sale and purchase of foreign currency and stop the strengthening of their assets abroad," attributing it to "failure to pay all amounts due Bzmtha all deductions and tax trusts and customs and transferred to the General Administration of Taxation and the General Administration of Customs. " The bank "and added banks which included deprivation is the (Iraqi investment, the country's Muslim, French-Lebanese, Byblos, international development, the Arabian Gulf, the Middle East, Beirut and the Arab country, Ceyhan, France Bank, Union of Iraq, the Iraqi trade, Sumer Commercial, Huda) ".